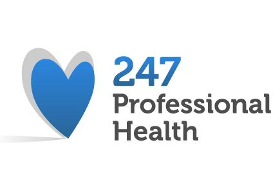 247 Professional Health is a healthcare recruitment agency which has been established in the North-West for a number of years. We specialise in the provision of Registered Nurses, Care Assistants and Support Workers for both ad hoc shifts and permanent placements across a diverse range of clients. We supply many private Nursing Homes, local council services and varied public and private healthcare organisations throughout Bolton, Bury, Burnley and Blackburn.